VIDEO: Search First or Handcuff First? 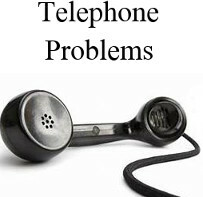 The Koga Institute is in the process of changing telephone services and obtaining a new number. Please bare with us, we will update our contact information here when the changes are complete. 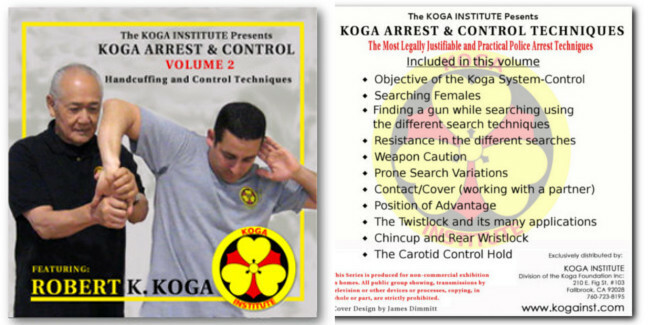 Koga Institute merchandise is now available on our new Squareup page. Squareup processes credit card payments directly through a card merchant for those whom do not wish to use PayPal. As you might expect, every officer in the Long Beach Police Department undergoes rigorous training before leaving the academy. But did you know that the trainers themselves need training? It’s true. And all this week, about 20 of the department’s training officers will be at the Alpert Jewish Community Center, in East Long Beach, to undergo a 40-hour refresher course in arrest and suspect control to sharpen their skills — so that they can pass those skills to their trainees and fellow officers. 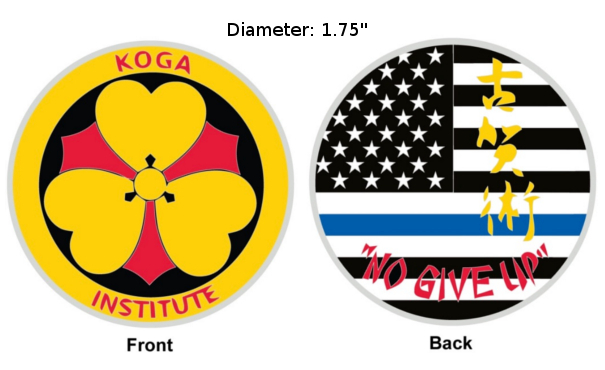 High quality custom dimensional coin, 1.75 inches in diameter with the tricolors of the Koga crest on the front. 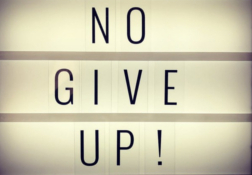 On the reverse side is a depiction of the US flag with blue for our law enforcement brothers, and the "No give up " Institute moto below, encased in clear plastic sleeve. Go to the Koga Store Front to purchase. Black nylon carrying case for batons or bokken. With front pocket to carry 29" baton separately. View on the Koga Storefront. 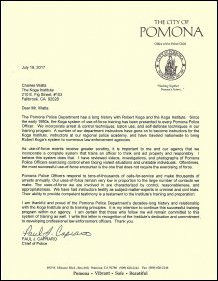 The Pomona Police Department has a long history with Robert Koga and the Koga Institute. 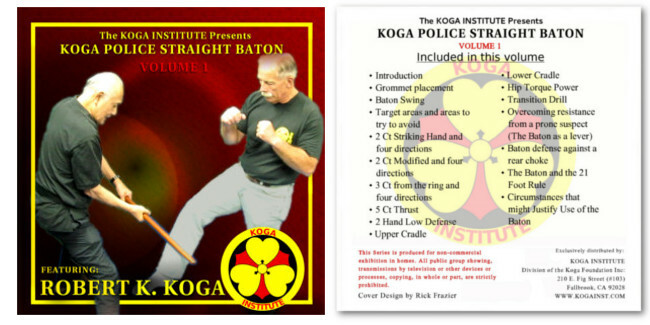 Since the early 1980s, The Koga system of use-of-force training has been presented to every Pomona Police Officer. 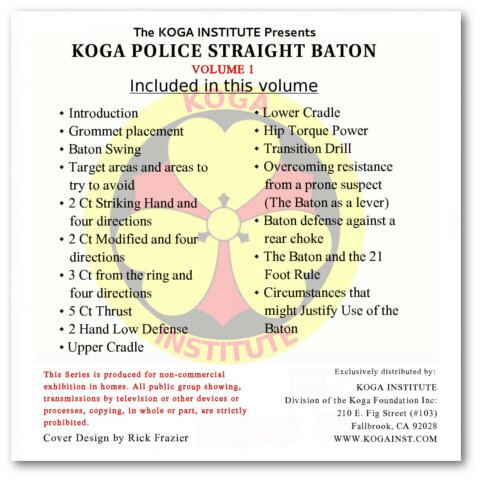 We incorporate arrest & control techniques, baton use, and self-defense techniques in our training program. 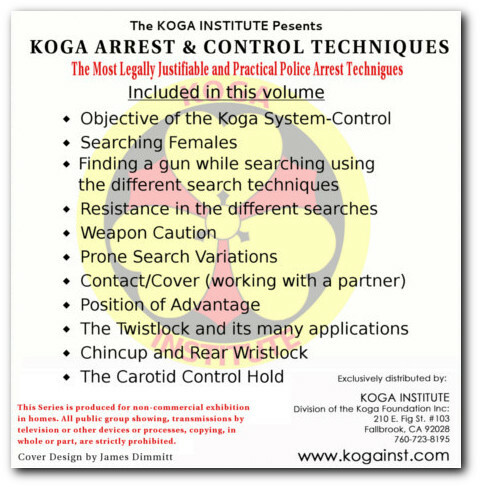 A number of our department instructors have gone on to become instructors for the Koga Institute, instructors at our regional academy, and have traveled nationwide to bring Robert Koga's system to numerous law enforcement agencies. Good News – Dymondwood (now called Kogawood) batons are once again available and may be ordered on our website and you may also call the office 760-723-8195 Monday – Thursday 8:30AM – 1:30PM. Go to our Storefront to order. *Kogawood is a dense, warp-resistant material that finishes to a high polish without stains or finishes. At the time Bob was sick with mesothelioma, friends and family sent Bob and me gifts of money thinking we would need it for doctors and hospital bills. As it turned out, our two insurances covered nearly everything. I used some of the money for his memorial service, and I have had much of it left over since his passing. It has been sitting in a bank account until recently when our family has decided to donate it to a non-profit group called “Reins”. Reins is a therapeutic horsemanship program in Fallbrook, CA, providing therapy on horseback to children and adults with both mental and physical disabilities. With Bob’s love of horses, we thought this would make him very happy. We thank all of you for your very generous gifts. If any of you are interested in learning more about this organization, here is the link to their web site. 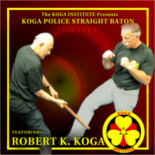 Train with Sensei Koga and master Police Straight Baton Techniques. 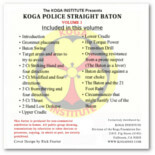 Get the DVD here at the New Koga Store. Train with Sensei Koga and master handcuffing & control techniques. The most legally justifiable and practical Police Arrest Techniques. 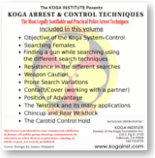 Learn the objective of the Koga System-Control. 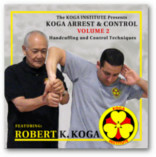 Master Arrest and Control Techniques with Sensei Koga. All payments should be made in care of the Koga Institute. Click here and buy it now. Sunday, February 15, would have been Robert Koga’s birthday. For us at the Koga Institute, as well as for colleagues, instructors, students, and friends around the world, this will be a day of both sadness and joy. 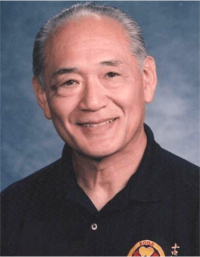 We are grateful and appreciative for the time we were able to spend with Sensei Koga, learning from his wisdom, skills, and knowledge while enjoying his warmth and humor. He gave us gifts of both body and spirit that we will forever treasure.